October 23, 2015 | LizT. I always have a hard time deciding what to be for Halloween every year. Mainly because there are so many beautiful and fun options! And while I usually a pretty decisive decision maker, at Halloween time I tend to waffle, because I want to be all the things! This year I’ve managed to make my decision for my Halloween costume. I’m while not ready to reveal which on I’ve chosen. These are the options I chose from and if you have a guess, go ahead and comment below! 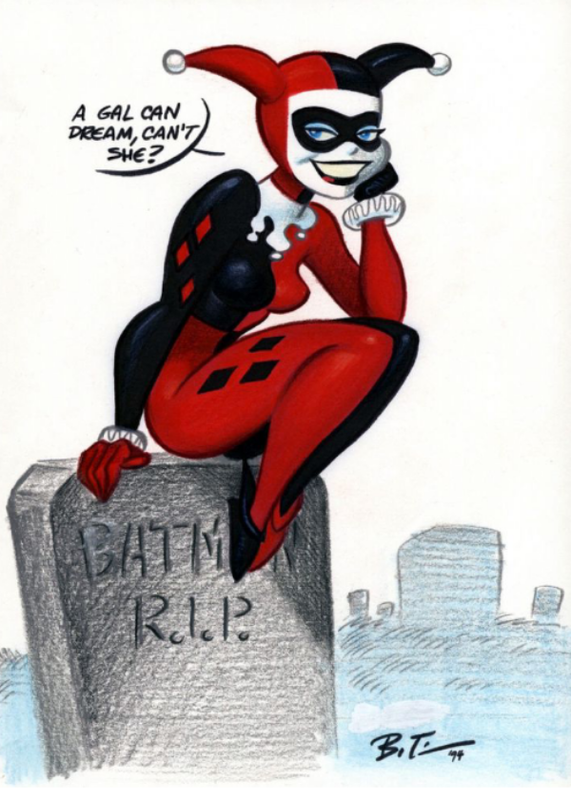 Harley is my favorite character in the DC Universe and my favorite villain in all the comic verses. I actually cosplayed Harley at Christmas with my family last year. But there’s a new Harley coming our way in Suicide Squad next year (though I prefer the classic Batman: the animated series version of Harley) and I love the chance to dress as the Joker’s crazy lady love. So she always makes the short list! Yep, I always dreamed of being a rockstar. 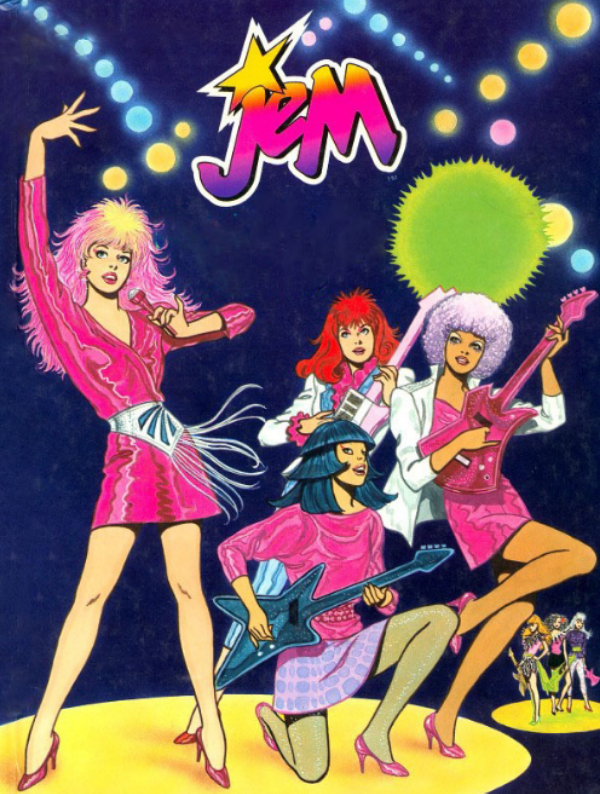 And being a child of the 80’s, there are few role models as pink, sparkly and fierce as Jerrica Benton aka JEM and her Holograms, Aja, Kimber, Shana and Raya. So I always look forward to cosplaying this music mogul. Plus I’ve done her hair for 30 Days Of Nerdy Hair, so I know I can pull it off. Very strong option. I’m currently knee deep in the Disney Channel spin off of the beloved 90’s sitcom, Boy Meets World…Girl Meets World. It’s Topanga and Corey’s kids who are now learning about the world (and it’s truly delightful) but original Topanga will always be a favorite. And I’ve never dresses up as her before. Strong contender. Every child of the 90’s should feel me on this one. 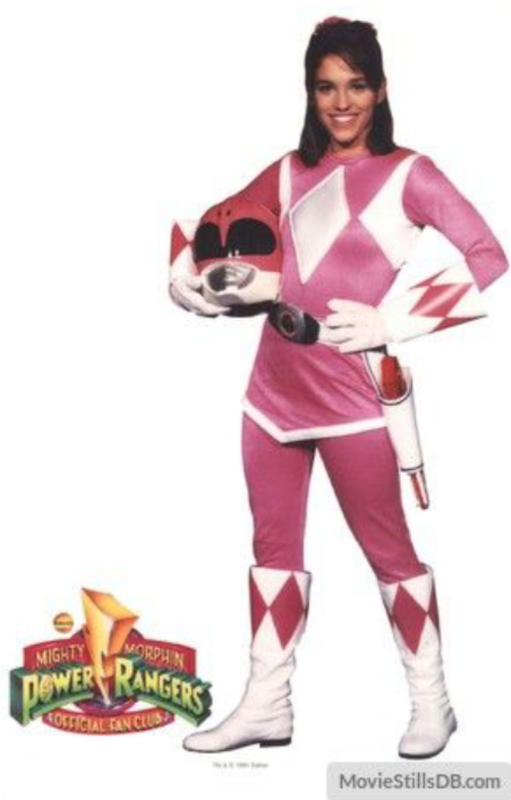 The Mighty Morphin Power Rangers were the be all and end all of crime fighting teenagers in the 90’s. Plus Tommy…aka Green Ranger, then White Ranger…Hubba hubba. Princess Leia is always and I mean always on my list!! She is the sassiest and bad assiest of Princesses and she has so many great looks to choose from. I dressed up as Leia for Halloween when I was a kid and I’ve done plenty of her hairstyles for 30 Days of Nerdy Hair, but I’ve actually never cosplayed Princess Leia as an adult. So she is absolutely a major contender this year make that every year! Topanga! Yes! And you should definitely do the lipstick on the face, for sure!